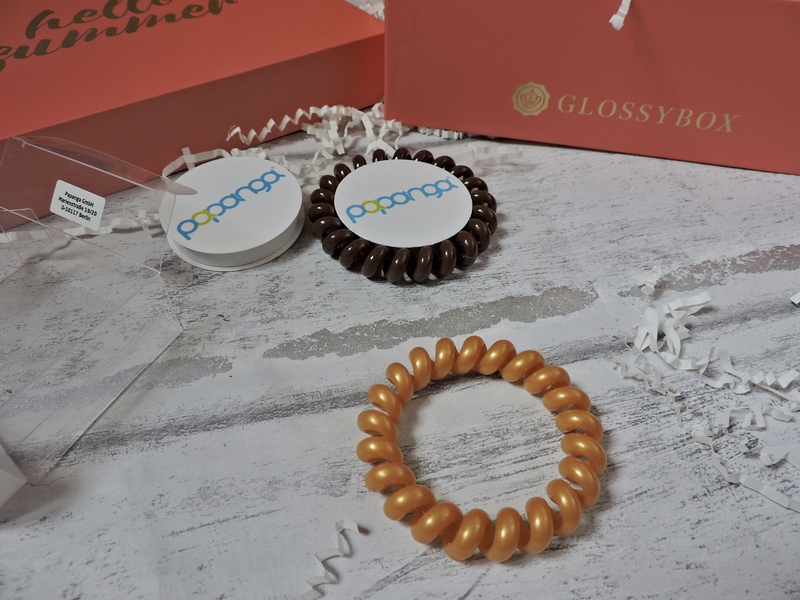 When this months Glossybox arrived, I was beyond ecstatic as I had seen the design for the new box and it is gorgeous! Can we just quickly discuss how gorgeous this is?! 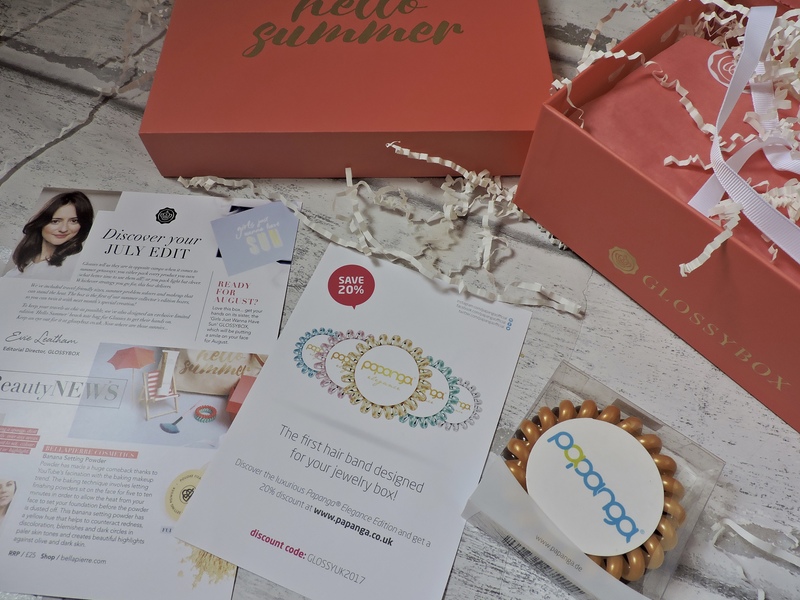 it is so summery and the gold foil letters add such a great touch to the box. 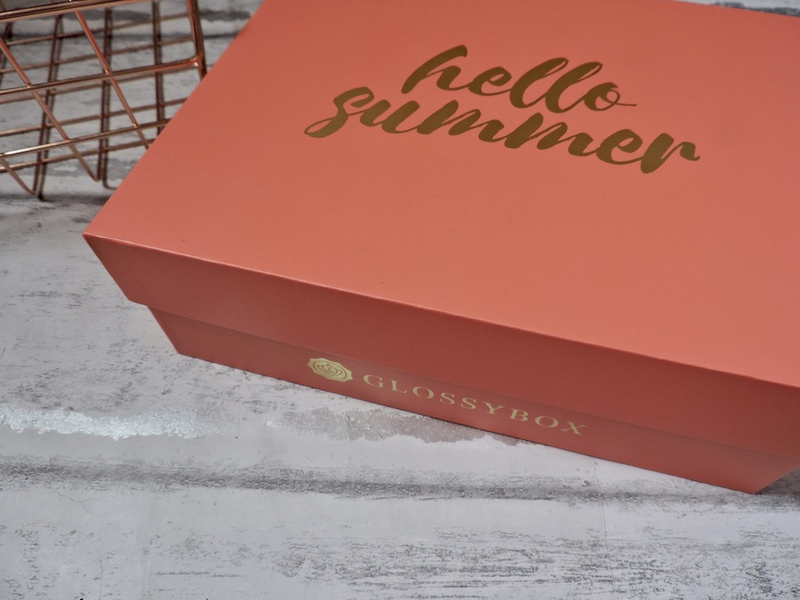 If you are a normal Glossybox subscriber then you will know that the box is normally baby pink and it has black writing across the top that says Glossybox. As you can see the Glossybox is written on the side in the normal Glossybox font, but it is gold. On the top it says “Hello Summer”, in gold scroll writing. It makes me so happy that they have changed the box for this month, instead of having the same box each month. I really like the idea of putting after sun lotion in this months box. They know that this is going to be such an essential for summer as people will be going on holiday and probably burning. The tube is quite big and so I was shocked that this isn’t the full sized bottle. This is the only product this month that i havent used just because i have needed to right now, i will definitely be using it when i get back off my holiday in september. This product will be such a lifesaver for so many people and it is so handy. I love that this product is for all skin types as it is open for everyone to use, I think this is going to go down so well with everyone. I think the packaging is pretty sophisticated, nothing that would catch anyones eyes but it is only an after sun. It doesn’t have the stereotypical yellow packaging like some of the after suns that we see in the super market. I have never heard of this brand before so it was nice to get something from a brand that I havent heard of before. I have been using these hairbands, no joke, every single day since I got this box. I love them! although I didn’t get the best choice of colours, they are incredible. My boyfriend says that look like a telephone wire, which makes me laugh but they are really good hairbands. You know sometimes when you need to whack your hair up, e.g.. when you are cleaning your room? these are the sort of hairbands that are perfect for this as you can put it up and it wont kink when you want to take it down after. If you straighten your hair and want to put your hair up, these hair bands are good as they wont kink your hair and are really good at holding your hair up without pulling strands of your hair. Someone that bugs me is kinks in my hair as i have to go back over it with the straighteners. They are a really good quality and you can tell they are going to last for a long time. I like that they are quite quirky, so if you wanted to have your hair up but wanted a cool hairband this will be good for that. Really worth the money and if you get the right colour you can wear them every where and any where. When I saw this, it made me so happy because I know that I am going to be ok for setting powder after my current one finishes. I really like that it is mre of a banana colour, shall we say.. as it is going to add more warmth to my face which is especailly going to look good this summer. I am not going to lie, i might have been alone here but i literally thought that this was going to smell like bananas. When i opened it, the first thing i did was smell it to see it this was the case, it wasnt.. it doesnt smell like banana. i do think that it could have been such a cool bonus if it did. It blends in really well and does the job of a setting powder. 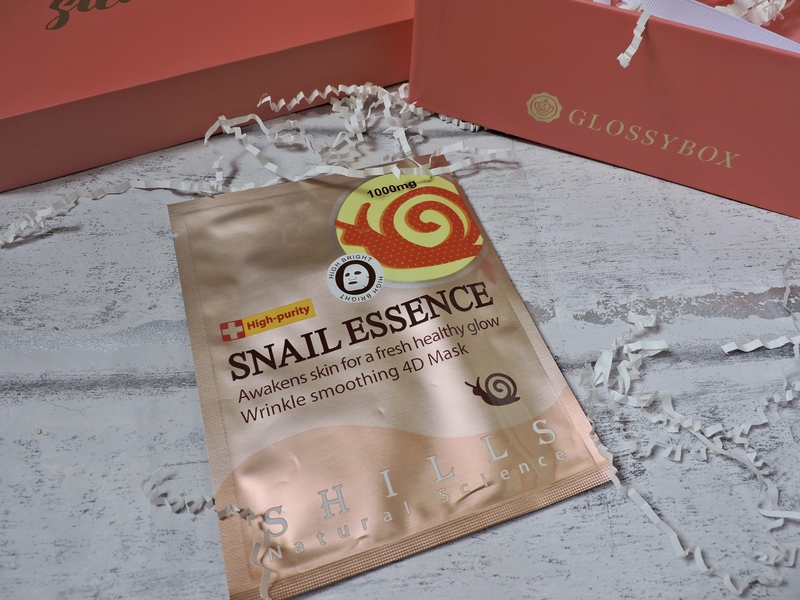 I was a bit freaked out when I saw this because it says SNAIL ESSENCE, and at first I didn’t really know how i felt about it because it has essence of snail in it but i tried it anyway. Below, I took a picture on snapchat and added that below incase you wanted to see how great I looked hahaa.. I really liked the mask. I love how it felt on my skin and how well it stuck to my face. The mask didnt have a scent, but it was really sticky and tacky. 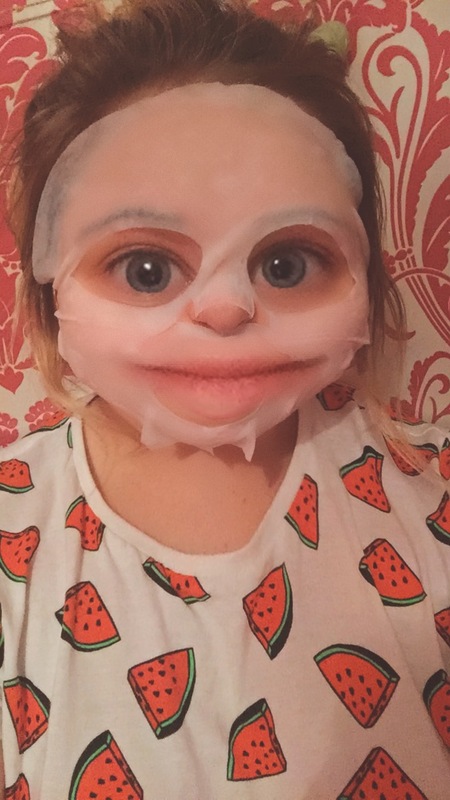 It felt like it had a gel consistency which was different from any face mask i have ever used. After having left it on for 15 minutes i took it off and my face looked more awake and brightened and my skin felt amazing. It was so soft and well moustirsed. It is really worth the money if you are looking for a mask that gives your skin radience and moisturises your face. THIS IS STUNNING! 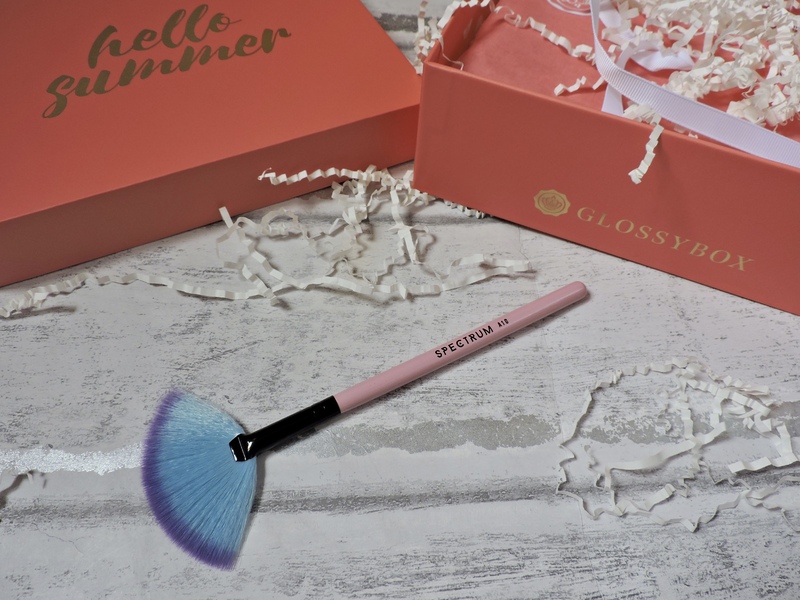 When I saw that this months Glossybox was going to have a Spectrum fan brush, I was like YAAAASSSS!!! I love the look of Spectrum brushes, i have never owned a Spectrum brush of my own before ( i know, you are judging me. I really need to invest in some brushes ) so it makes me so happy that i finally have a brush. I needed a new fan brush, so i was over the moon to receive this! It is such a pretty brush, the bristles are really good for getting that highlighter on. They aren’t too harsh on the face, but are actually really soft. I always see these brushes on my Instagram and Twitter and i have always wondered whether the bristles are hard because they don’t look soft at all. BUT THEY ARE!! I have also been using this everyday since receiving it and i honestly love it. I think for the price that it is, it is definitely worth it and come on, it is stunning so why wouldn’t you want it? i would definitely recommend getting it. If i knew what it felt like and how good it was for highlighter, i would have brought it sooner. I love the handle of the brush, it isnt too thick to hold but it is just right. I love the colour pink so this brush appealed to me alot. I also think its cute how the bristles are blue with purple at the ends. I had so much fun this month looking through all of the items that I got in this box. I have been enjoying using them and some of them I use on a daily basis! I am definitely going to be purchasing more of these hairbands as they are incredible! This fan brush makes me so happy, my face is going to be glowingggg! 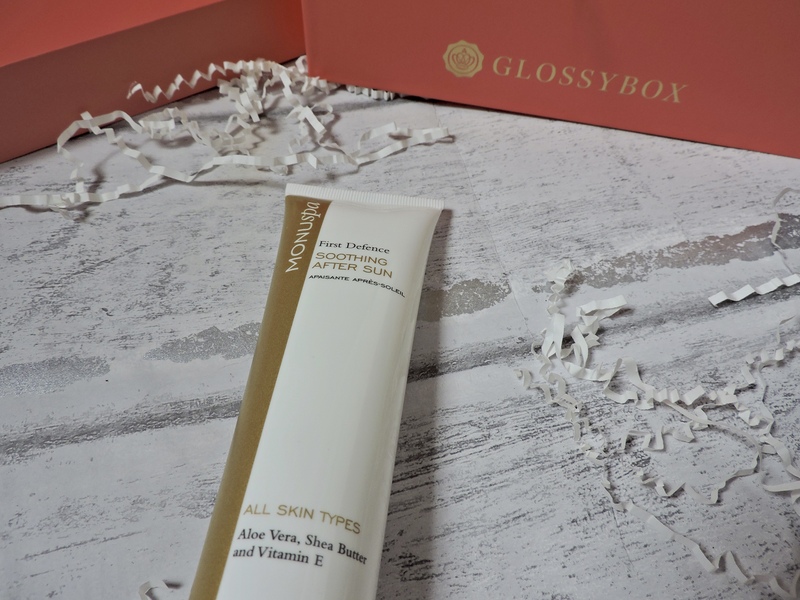 What different products did you get in your Glossybox? 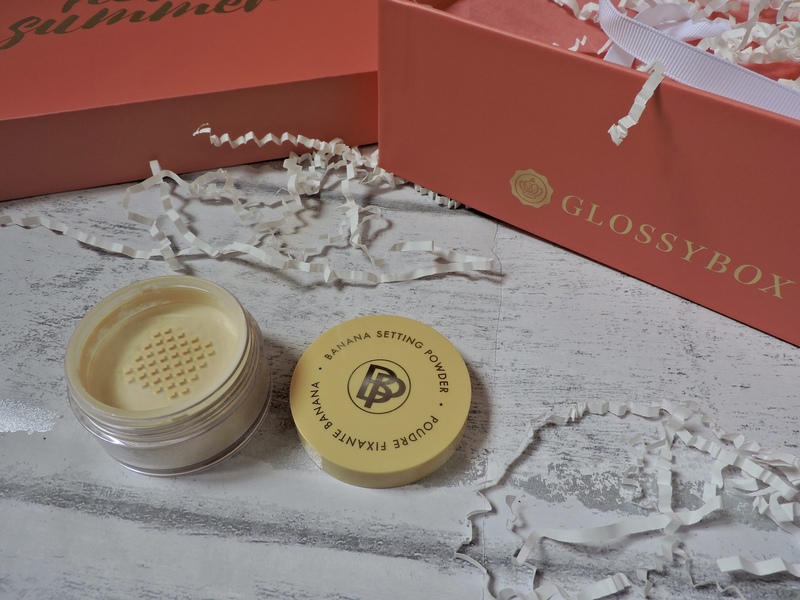 If you don’t have a Glossybox what product would you love the most do you think? I love the things you’ve received! 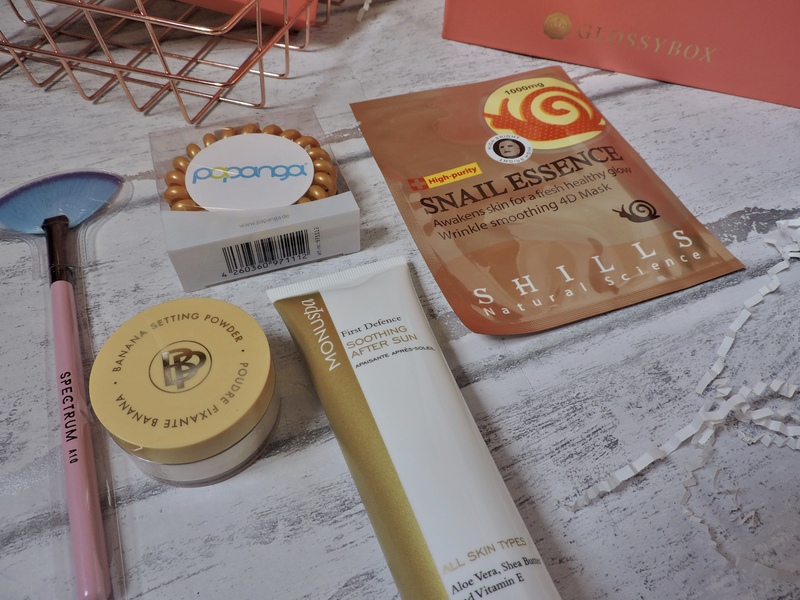 I would love to try the snail essence mask! But the box as a whole is just so great! I love the variety of products in it! I think there is a good variety for sure! I absolutely love the cute little brush! IT IS SO SOFT!!! probably one of my favourite brushes that I own, and I own a lot haha! I haven’t heard of this one yet. 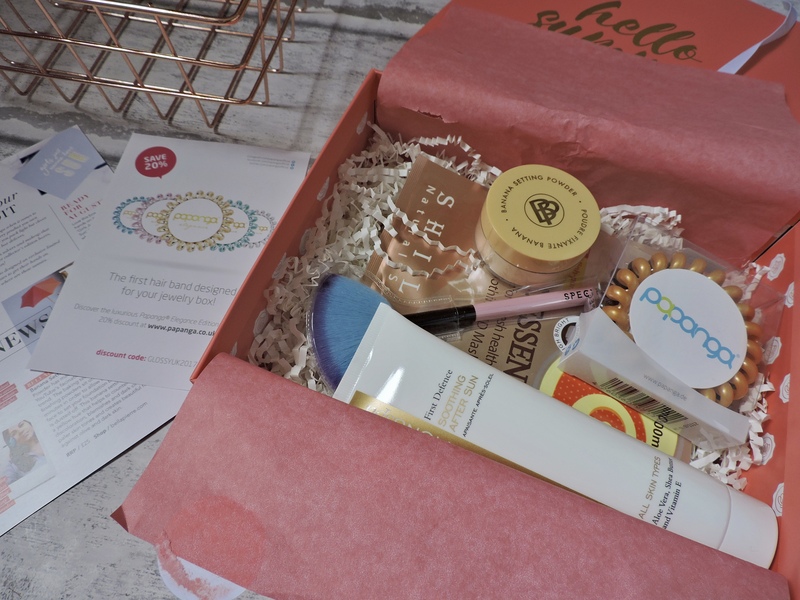 I LOVE my beauty boxes. It forces me to try new things I would never have the courage to try. I will need to check this one out. “snail essence” sounds so odd haha, I think I would’ve been a bit put off by that but it sounds like it did a nice job on your skin! Love that brush and the hairbands, can never have too many hairbands I always lose mine!! Looks like you got an amazing range of products! I did, I think the box had a good range of beauty and useful accessories! 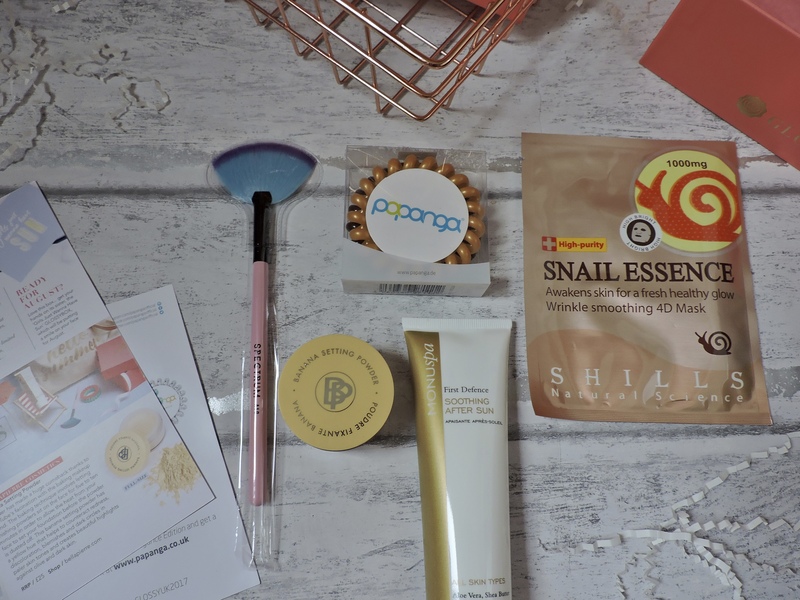 The snail mask is the one item I was most intrigued about! Everything is worth a try once right? !